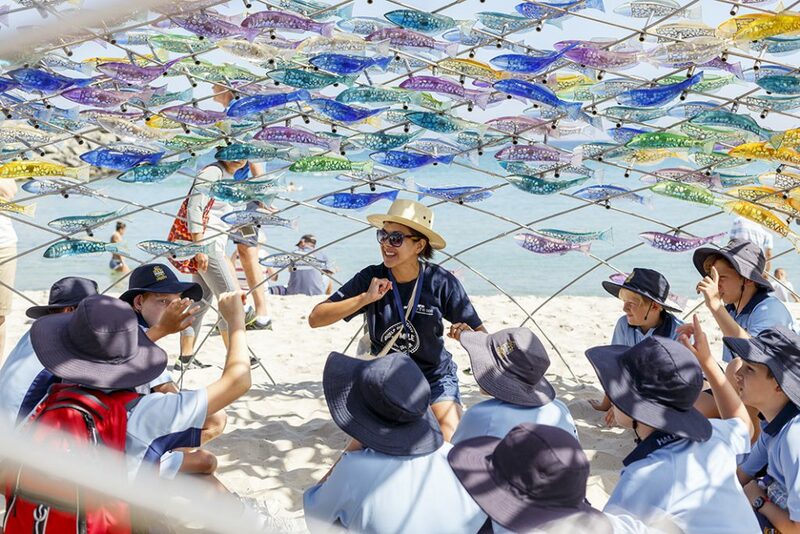 The Alcoa Schools Education Program at Sculpture by the Sea, Cottesloe offers unique ‘out of classroom’ learning and fun through sculpture making workshops, talks and teachers’ professional development events with exhibiting artists along with interactive exhibition ‘Focus Tours’ with educators. Bookings will open and Education Resources will be announced shortly for 2020. A unique opportunity for students to meet and work with a professional exhibiting artist and explore materials and processes involved in creating sculpture through activities based on the Artist’s practice. 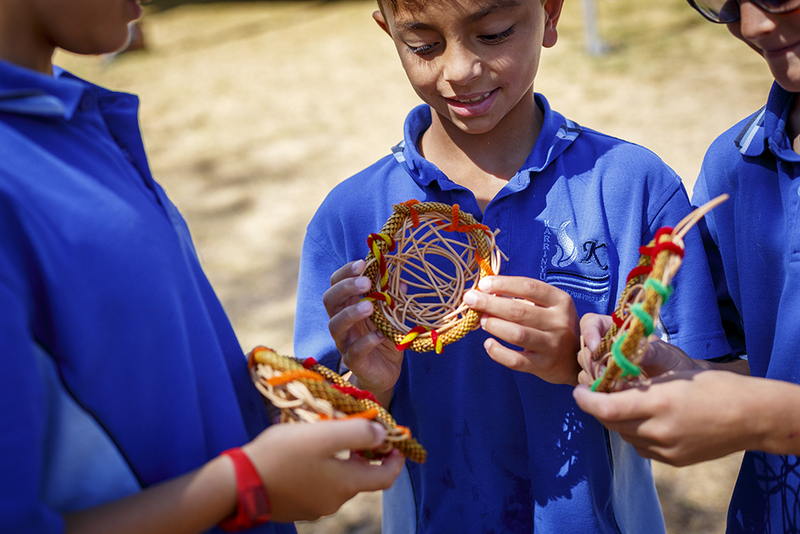 Previous workshops have explored concepts such as relationships with the built environment and the natural world through creative play and risk-taking. Students have been introduced to art making techniques using clay, wire, plaster, salvaged and recycled material, paper, and natural materials. 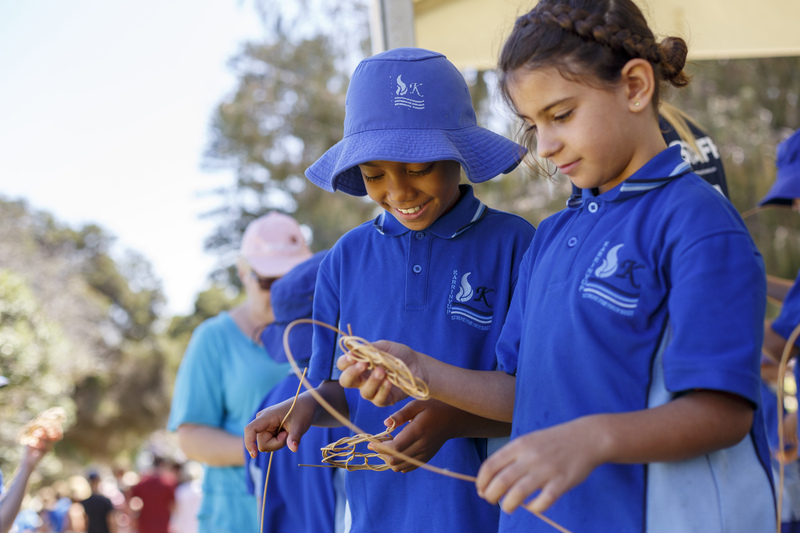 Students will explore and engage with a selection of sculptures in the exhibition site with a Sculpture by the Sea Educator. Participants will develop meaning-making and visual literacy skills through interactive discussion and activities. The guided discussions will also serve to link the artworks to relevant subject areas such as Science, Technology, Engineering, Arts, and Maths (STEAM) subjects. The program may include a short on site practical art-making activity in response to one or more of the sculptures. Meet two exhibiting artists and view their work followed by a Q&A guided by a Sculpture by the Sea Educator. Go in-depth with our artists in uncovering inspiration, context, relationship to site, concepts, materials and techniques employed in the works. An ideal case study activity for senior classes. Join the excitement – celebrate and preview this year’s exhibition on the last night of install. Meet exhibiting artists and view and discuss their work with them. Refreshments and snacks, Kids Guide, Exhibition Catalogue and Education resources will be provided. Bookings are essential as limited places are available. Enjoy a practical sculpture making workshop with an exhibiting artist. Develop activities based on their practice to take back to your classroom. Includes materials, education resources, refreshments and snacks. (a certificate of attendance available on request).